A Game Boy, a Sony PlayStation controller and a few other video game consoles litter Jordan Gray’s kitchen table. Holding one, he plays the buttons in rapid succession, emitting bleepy electronic sounds through a computer. Slowly, he starts assembling a song. “The Nintendo has a five-channel sound chip that can produce certain sounds," Gray explains. "And the Game Boy has a four-channel chip that provides different sounds." If you played video games growing up, you might recognize the sounds in Gray’s music. It falls into a genre called Chip Tune -- music that’s written specifically on video game consoles. He uses them like a DJ, composing beats and loops, live in front of audiences. This weekend, audiophiles will head to the Megapolis Audio Festival in Oakland to hear and explore music like this. At Megapolis, Gray will lead a workshop showing people the basics of making a beat. “If you’ve played games before, it comes as second nature,” Gray says. He will join other musicians, podcasters and technologists who are obsessed with sound. In its three years, this is the first time Megapolis has come to California. In past years it was held in New York City, Baltimore and Boston. For an entry fee, visitors will get access to workshops, live performances and audio installations. In the basement of a performing arts theater at Mills College in Oakland, Julie Herndon is working on her installation for the festival. She reaches into a paper bag and pulls out a handful of the 100 or so music boxes inside. Herndon and her partner, Dan Gottwald, will stick them to buildings, bike racks, pipes -- anything they can find that will resonate in downtown Oakland. 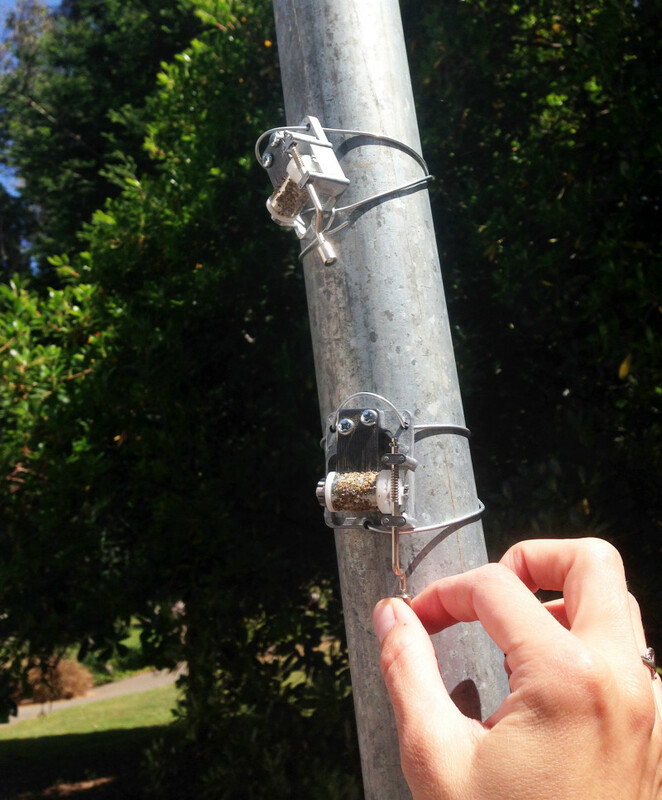 They’re also attaching things they find around the city -- like gravel -- to the music boxes to change and distort how they sound. “The music boxes aren’t playing the songs you’d expect them to play," Herndon says. "They’re playing actual city textures." She says the point is to bring people closer to their city environment. “Like a pipe they’ve walked by 40 times, or 40,000 times and they’ve never really stopped to look at it or touch it," she explains. Usually Herndon writes classical music. But she says music boxes hold special emotion for her. She says they evoke nostalgia. Other sounds at the festival, however, are less delicate. In his basement studio, San Francisco musician Matt Moldover shows me one of his newest creations. It’s a small circuit board attached to one corner of a CD case. But this synthesizer is actually soldered on to every CD case of his latest album. 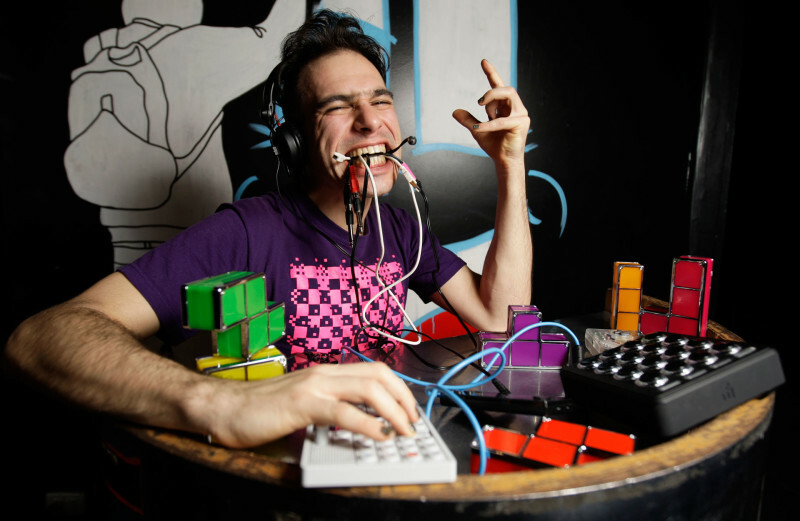 At Megapolis, he’ll teach people how to build their own simple synthesizer. According to Moldover, with all the tools out there right now, digital or analog, there’s a whole universe of ways to create sound. 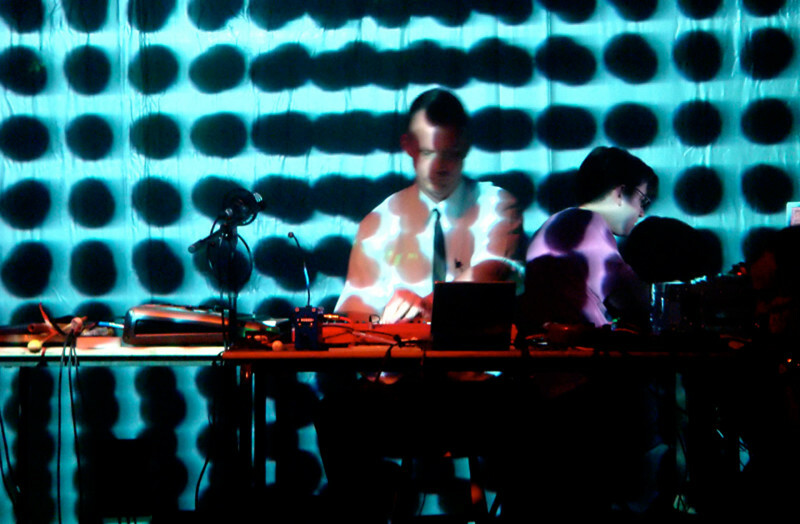 The Megapolis Audio Festival runs through the weekend (June 5-7) at venues in downtown Oakland.